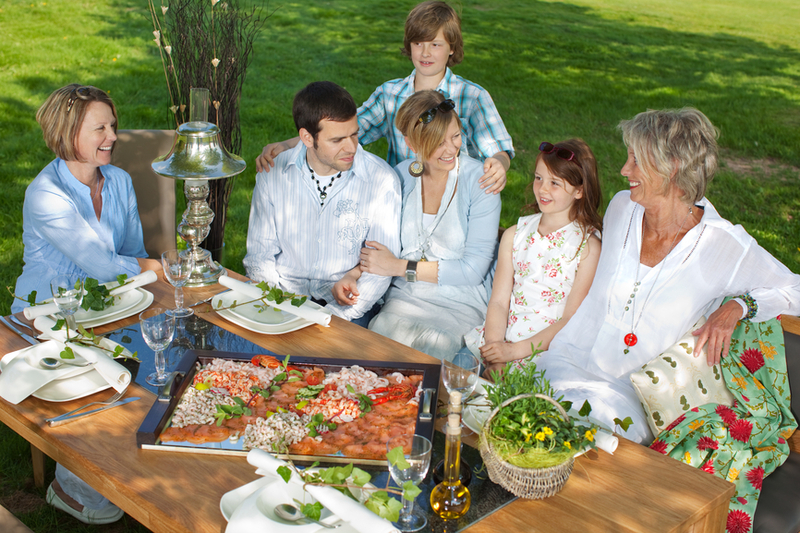 Family reunions involve the coming together of relatives and closed ones after a long period of time. Food and drinks are a necessary part of celebrations and planning the arrangements can be challenging. Elkhart Catering is a full service catering company that specializes in preparing tasteful food, beverages, desserts and drinks. We have spent a fair amount of time in the field to understand the ever changing and emerging trends. Our expert staff has catering ideas and concepts suitable for different occasions. We are only a call or email away to discuss your requirements. We always aim for excellence in the things we do and ensure the party runs efficiently and smoothly. During a family reunion, people catch up on the hottest happenings in the life of their closed ones. It is reminiscent of old times spend together as a child, teenager or even adults. To spend a day together with all the fun and enjoyment, we have special menu offerings to choose from. If you’re looking to feed a big group, we can still make arrangements accordingly. Our menus come with everything needed in a cost effective budget. For a small intimate gathering, our experts can serve you accordingly as per requirements. Hot dogs, fruit salads, fried chicken, hamburgers, and many other cuisines and snacks would be prepared. If you have any suggestion regarding the menu offerings, please let us know timely. Our customer service representatives will get back to you as soon as you’ve informed us. You can add more items in the menu in terms of drinks and desserts. Celebrate this grand occasion with some delicious catering from Elkhart. We can also provide assistance on other aspects of catering such as games, entertainment and tables. Our event planners and coordinators will handle all the essential catering tasks to ensure the process is smooth. They have several years of experience in the field which guides them through different challenges. We’ll give you hundreds of menu combinations to make a choice. The arrangements will undoubtedly mark your family reunion as a day to remember in the years to come. Based on part size and venue, we’ll come up with the much essential components for a successful family reunion. Our pricing policy is completely transparent for all the cost of a catering package would be explained. There will be no hidden charges to spring up later without your knowledge. We maintain high standards of hygiene while preparing the dishes. All our staff is involved in eco-friendly practices to keep up the good work done so far. Family reunions are neither.